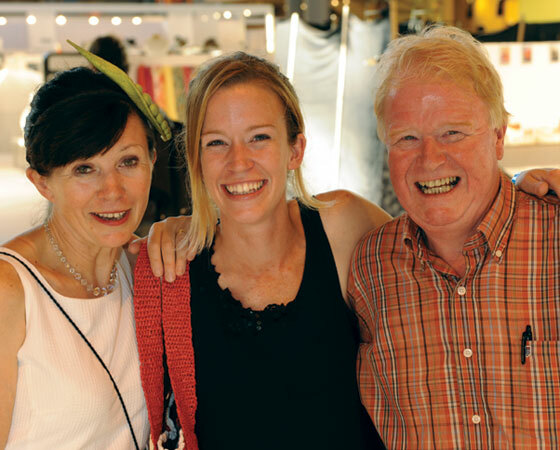 Carole & Nigel Denford created The HAT Magazine in 1999 following 17 years as niche retailers, owning six specialist hat shops that sold both men’s and women’s styles. Their most famous shop was The Hat Shop in Covent Garden, where their new vision for ‘the hat’ was to expand its market by offering a selection across all prices, qualities and styles, from simple basic models to super fine felts and Panamas, and from new innovative designers. Many international brands were first available at their shops in London, such as Marzi and Grevi from Italy, Kokin from New York, Fred Bare, and many more. The shops had a unique selection and a personal style that appealed to every kind of customer, attracting international clients from Japan, America and across Europe, all seeking out to buy that ‘special brand’, classic style or well-priced hat. Then, at the end of the 1990s, with UK rents spiralling out of control and with many of London’s small specialist shops being forced to close, Carole and Nigel decided to change course. Using their vast knowledge and interest of hats and their production, they created a specialist magazine called ‘The HAT’, satisfying a need for hat buyers, retailers, designers, hatters, milliners, students and enthusiasts. From the beginning Carole & Nigel were always conscious that specialised headwear was created in many different areas around the world. And so, with the assistance of their daughter, Alice, they visited and wrote about countries and cities that were unique for their work within the hat industry. They also invited designers to contribute to the Designer Sketchbook and the Workroom Process pages, to improve their readers’ skills and expertise. By 2017, after 35 years within the industry, it was time to take a step back and reflect on all the work that had been ‘processed’. Carole & Nigel thought about a successor, and contacted Elly Stemerdink from the Netherlands, a trained milliner and also someone who had been writing a similar publication for the Dutch Hat Association. She instantly agreed to take on the task, and so on June 30th the magazine was handed to Elly and (partner) Pieter, who have since updated the website (www.thehatmagazine.com) with new features, making it easier to process subscriptions. Carole will be working with Elly for an initial period, introducing her to contacts within the trade. During this time Carole will also be responsible for UK shows, and news items. Carole, Nigel & Alice’s new company, Denford Publishing, will continue working for the trade, using their knowledge to produce books incorporating information taken from their editions of THM. Carole will also be assisting people in the industry through a number of different channels. Following her invitation to become a member of the Feltmakers Guild, Carole will begin this new chapter by making new contacts and taking part at events with the Feltmakers, including on their Diary visits to Atherstone and to Luton.